When it comes to wellbeing, we know we want to do it better. But the struggle is real when the days are short and you’re pushed for time. Don’t worry, we get it. If we look at wellbeing through a lens that includes the physical, mental, spiritual and social, then what can happen? Join us for an evening sorting the fads from the fundamentals to your wellbeing. Doors open at 6pm for mixing and mingling, and we'll kick things off at 6.30pm! By purchasing a pay it forward ticket, you're enabling a young person to attend who normally couldn't. So, will you join us? Tickets are limited, and will sell out. Get yours now! Dr Steve Joe has extensive experience as a GP, initially in Ngaruawahia and then in Rototuna. Miriam and Steve have lived in Hamilton for over 30 years and bought up their three children here. He has always treated the whole person, not just a complaint. This has led him to consider the underlying drivers of disease. In this way he considers the role of hormonal imbalances, toxins, stress, exercise and diet among other things. He believes in a team approach to health and is lucky to work alongside his associate Kate to bounce ideas off. People around him know when he hasn’t been exercising so he keeps them happy by playing tennis and golf and doing Tai Chi and yoga just enough to realise that he should be doing them more often. Ko Kakepuku me Pirongia ngā maunga. Ko Waipā te awa. Ko Tainui te waka. Ko Kahotea me Te Kopua ngā Marae. Ko Ngāti Maniapoto te iwi. Cassidy is passionate about creating meaningful relationships between people and our taiao (environment), holistic approaches towards health and wellbeing, and providing a voice for vulnerable communities. He is a current student at Te Whare Wānanga o Waikato, studying Finance and Te Reo Māori me ōna Tikanga. Cassidy grew up rural on a dairy farm not far from Hamilton, and has lived within the Waikato his whole life. 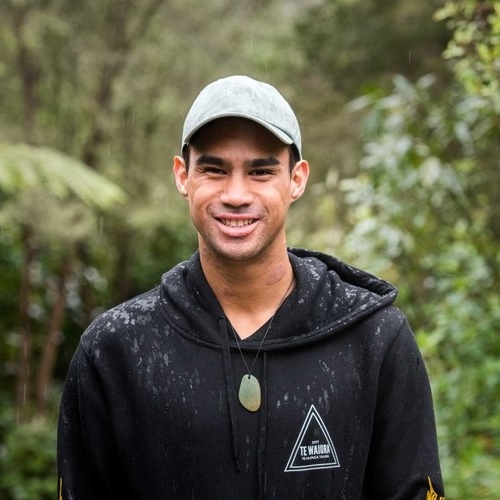 Cassidy is currently the Waipā Rangatahi representative for the Tuia, a National kaupapa that partners rangatahi with Regional and District Councils. He has served as Vice-President Māori on the Waikato Student Union Board, and brings experience from numerous governance boards and committees while studying at Waikato. Cassidy has interned with a top tier professional services firm, and has also contributed to one of his tribal affiliation entities, Waikato-Tainui, through academic research. Cassidy aspires to use his kōrero to uplift and empower all he encounters. The founder of Taylored Health & Performance, Luke, strongly believes that everyone has the ability to achieve greatness. In this time-poor world, Luke’s main focus is all around efficiency for maximal impact, whether that be for work, well-being or sport performance. Luke identifies and prioritises unique ways to maximise human potential for each individual. Challenged with his own personal struggle and the inability to receive answers, Luke became frustrated with the system so he dove into the literature to seek out solutions and to identify the current and best practices to help himself. He quickly identified he had a number of conditions that were undiagnosed. Once treated, he finally achieved the breakthrough performance in health and sport he had longed for. With his own personal success, he began to identifying that all his clients would greatly benefit from a similar approach. The end result was the 'Taylored Method' was born, a method that takes the time to understand and test each individuals’ needs. It is a multifaceted approach that builds from the foundation up. A special thank you to Sam Wright, who created this highlights reel so you can get a taste of the vibe!